Méndez is an artist, designer, and professor at UCLA, Design Media Arts, where she is director of the CounterForce Lab, a research and fieldwork studio dedicated to using art and design to develop creative collaborations, new fields of study, and methods to research, create, and execute projects around the social and ecological impacts of anthropocene climate change. Her research and practice investigates design and media art in public space, critical approaches to public identities and landscape, and artistic projects based on field investigation methods. 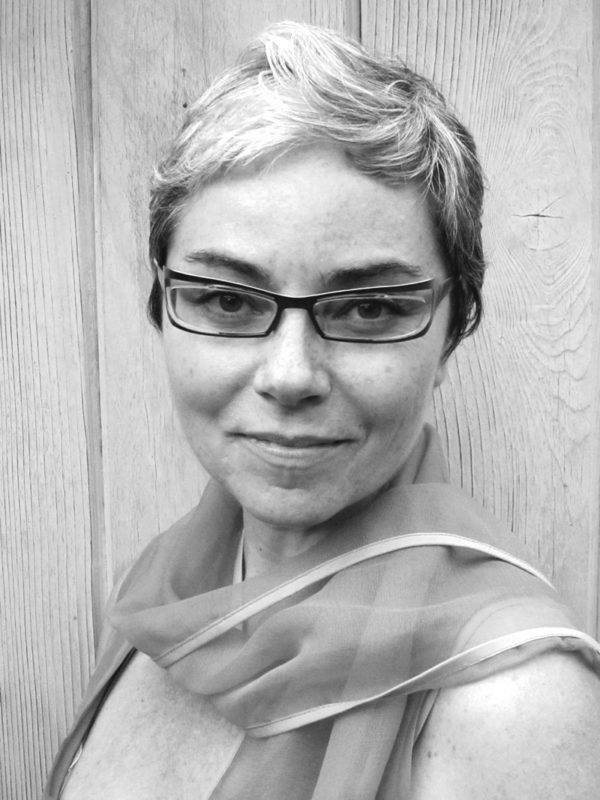 Méndez is the recipient of the 2012 National Design Award in Communication Design, bestowed by the White House and the Smithsonian Institution. Other recognition and awards include, the 2017 Medal of Honor of AIGA (American Institute of Graphic Arts); the Vision Over Violence Humanitarian Award, Peace Over Violence, Los Angeles; the Ciudad Juárez Museum of Art Border Biennial 2015 Award; a 2012–13 City of Los Angeles (C.O.L.A.) Fellowship; a GLOW 2013 Fellowship and 1st artist in residency; and a 2010 California Community Foundation Mid Career Fellowship for Visual Artist. Solo and two person exhibitions include: Rebeca Méndez: At Any Given Moment at the Nevada Art Museum, Reno, Nevada (2012); Each Day at Noon: Rebeca Méndez, Café Hammer, Hammer Museum, Los Angeles (2012); Rebeca Méndez, Museum of Contemporary Art, Oaxaca, Mexico (2011); Energy at the Williamson Gallery, Pasadena, California (2010); Rebeca Méndez: Selections from the Permanent Collection of Architecture and Design at the San Francisco Museum of Modern Art (1998). Méndez has shown her work at the 55th Venice Biennale, Venice, Italy (2014); Arte Laguna, Nappe Arsenale, Venice, Italy (2016); SUR:Biennial, Cerritos College Art Gallery (2015); IV Bienal Ciudad Juárez/El Paso Biennial 2015, Muséo de Arte de Ciudad Juárez and El Paso Museum of Art (2015); How Posters Work, Cooper-Hewitt National Design Museum, New York (2015); Due North / í Nor∂ur, Crane Arts, Icebox Project Space, Philadelphia (2014); Getting Upper, Pasadena Museum of California Art, Pasadena, California (2011); X Bienal de Arte: Intersecciones: Memoria, Realidad y Nuevos Tiempos, Cuenca, Ecuador (2009); Belles Lettres: The Art of Typography, San Francisco Museum of Modern Art, San Francisco, California (2005); Women Designers in The USA, 1900–2000: Diversity and Difference, The Bard Graduate Center for Studies in the Decorative Arts, Design, and Culture, New York, New York (2001); The National Design Triennial: Design Culture Now, Cooper-Hewitt National Design Museum, New York, New York (2000); and Mixing Messages: Graphic Design in Contemporary Culture, Cooper-Hewitt National Design Museum, New York, New York (1996). Méndez’s work is represented in collections of, the Stedelijk Museum, Amsterdam; the San Francisco Museum of Modern Art, San Francisco; Cooper-Hewitt, National Design Museum, New York; the Nevada Museum of Contemporary Art, Reno; the El Paso Museum of Art, El Paso; the Pasadena Museum of California Art, Pasadena; the Denver Art Museum, Denver; the Freitag Historical Museum, Hannover; and Museo José Luís Cuevas, Mexico City. Permanent public art commissions include, two METRO ART commissions for the Crenshaw/LAX project (2015); Tucson’s January 8 Memorial Foundation, for the design of the January 8 Memorial and El Presidio Park master plan (2015); Los Angeles County Arts Commission for three commissions—two at the Pico Rivera Public Library (2013) and one at the Los Angeles County Registrar-Recorder/County Clerk (2008); and two commissions for the University of Cincinnati Recreation Center (2005–06). Méndez has created award winning permanent public artworks in buildings by renowned architects including Thom Mayne, Morphosis; Michael Lehrer, Lehrer Architects; and Silvia Kuhle and Jeffrey Allsbrook, Standard L.A. She has collaborated in projects with architects Greg Lynn, Richard Weinstein, Cooper Robertson Partners, and Frank O. Gehry. In 1996 she founded Rebeca Méndez Design, a multidisciplinary studio focused on communication design for art, architecture and other cultural projects, as well as for non-profit organizations. Méndez’s creative practice is driven by the concept of élan vital, developed by the French philosopher Henri Bergson, who described it as “the explosive internal force that life carries within itself,” which he claimed animates all being. Her work is further informed by the ideas of the composer Karlheinz Stockhausen, who said: “We are all transistors, in the literal sense. People always think they are in the world, but they never realize that they are the world.” As explained by cultural theorist Sanford Kwinter, what Stockhausen means is that there are no phenomena in the natural world that do not manifest themselves as vibratory or rhythmic phenomena. Those vibrations attack us, they modulate us and in the end become us. Méndez lectures internationally and reviews of her work have appeared in the Los Angeles Times, The New York Times, T Magazine (blog), The White House (blog), The San Francisco Chronicle, art ltd, Wallpaper*, Eye, Metropolis, IDEA, and I.D. magazines, among others. Her work has been reviewed by renowned authors such as Ellen Lupton, Steven Heller, Brooke Hodge, Christopher Hawthorn, Alma Ruiz, Rick Poynor, Max Bruinsma, Holly Willis, and George Melrod, to name a few. Her work has been the subject for academic analysis, such as in David Schwarz’s book An Introduction to Electronic Art Through the Teaching of Jacques Lacan: Strangest Thing, Routledge. 2014, and Maud Levin’s book Clean New World: Culture, Politics, and Graphic Design. MIT Press. 2002.